When you first email or phone the Breeder make it clear that you expect to see all the health certificates when you first go to see the puppies. There are many breeders who are expert sales people. They can ‘talk the talk’. If they make you feel guilty or embarrassed for wanting to see health certificates, ask yourself why would they do that? 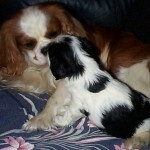 Do not believe any breeder who says they have no health problems in their Cavaliers. SM and MVD are in every line and every colour. The puppies should have been checked by a vet before being sold and you should be given information and advice about inoculations, diet, worming and flea treatment. Pure bred puppies should be registered with the Kennel Club. Be careful that you are not fooled by fancy certificates from other sources. The breeder should give you the KC registration papers when you collect your puppy, or a written promise to send the papers on to you when they are received. Irish Kennel Club ( IKC ) papers may indicate the puppy has been brought in to this country from an Irish puppy farm. A breeder who has taken pride and care in rearing their puppies will want you to visit at least once before buying, and will ask you questions about your family, your house and garden, and who will be at home to care for the puppy. Do not buy from a pet shop or pet supermarket, no good breeder would sell their puppies through such a place, nor would they use internet selling sites. Never buy from a dealer who wants to deliver the puppy to you, or meet you at a motorway service station. They are probably ‘brokers’ who are buying poorly bred puppies from puppy farms. Always see the puppy at home with the mother and be suspicious if she seems indifferent to the puppies. This may indicate this is not actually her litter and they have not been bred at that house but bought in from a puppy farm. Where to find a breeder……………. An Internet Website List with hundreds of litters of puppies from all different breeds for sale is not the best place to find a healthy puppy. That is where badly reared puppy farm dogs are sold. Contact the Kennel Club:- www.thekennelclub.org.uk. Members of the Kennel Club’s Assured Breeder Scheme should be aware of the need to health test for inherited conditions. 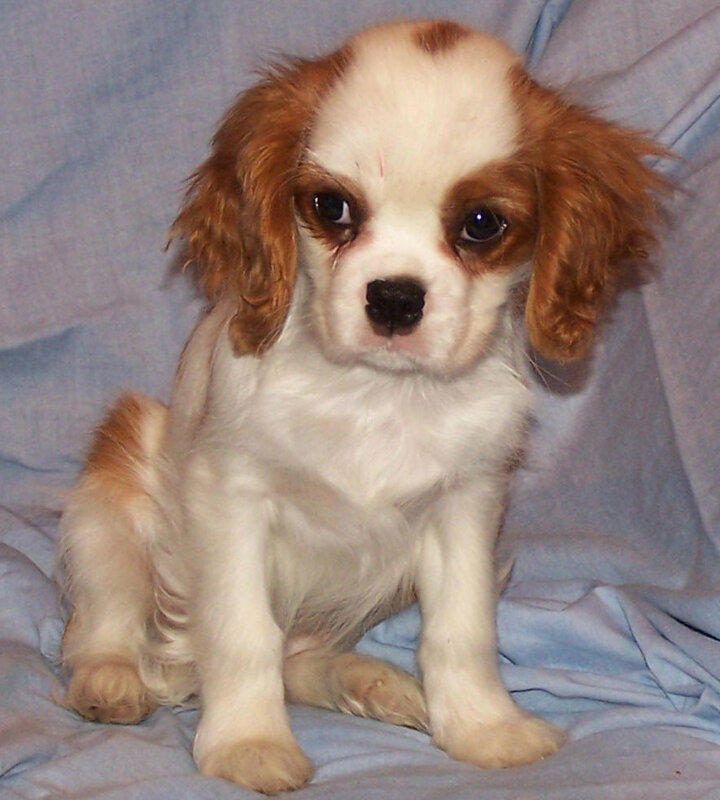 Contact the people who run your regional cavalier club puppy register. 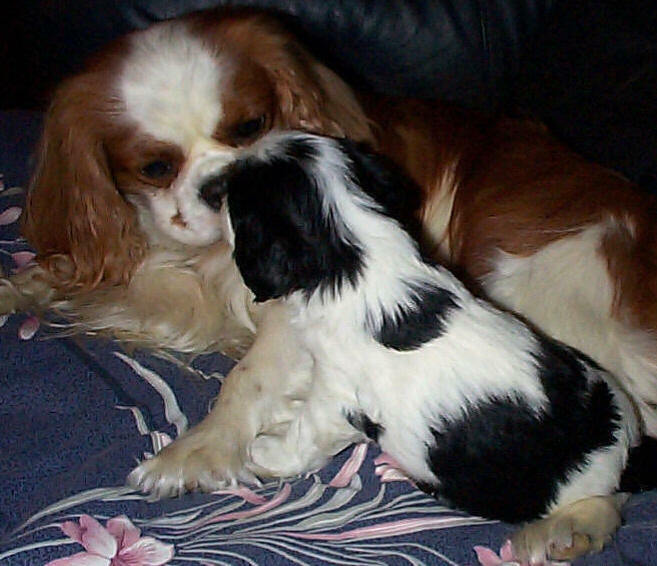 Members of cavalier clubs should know about the inherited health problems and the health tests that should be done, although you would still be well advised to check they have all the recommended health certificates. Please be aware that you should not take anything you are told at face value. Unscrupulous breeders sometimes join these organisations as a means of selling their puppies. REMEMBER IT IS YOUR RESPONSIBILITY AS THE BUYER TO CHECK THE HEALTH CERTIFICATES. do not buy a pet that has a life of pain, costs a fortune in vet's fees and breaks your family's heart.